When “Tis the Season” arrives it is time decorate and to find those unique gifts. 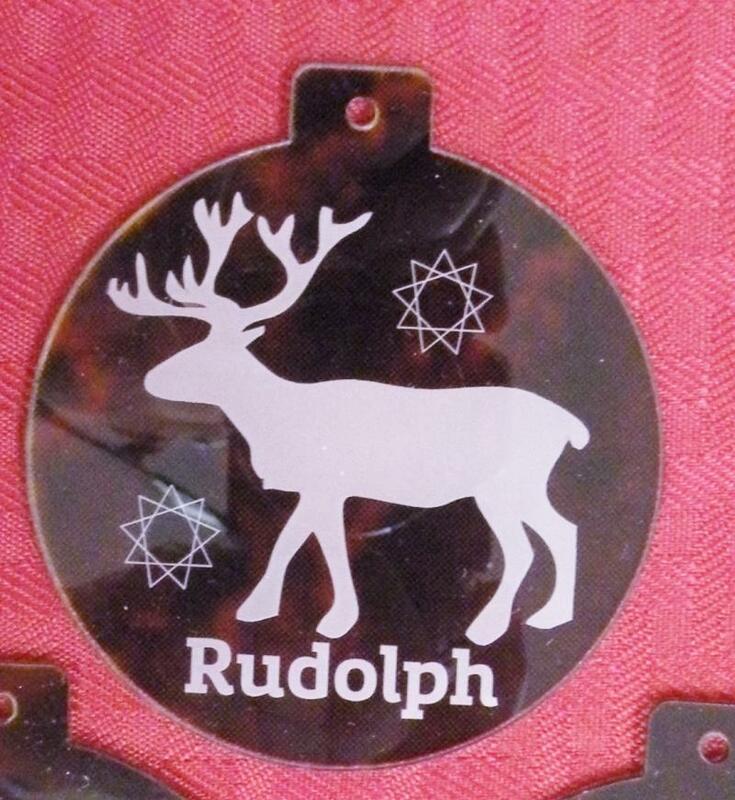 One possibility are special and/or personalized ornaments for your home and tree. 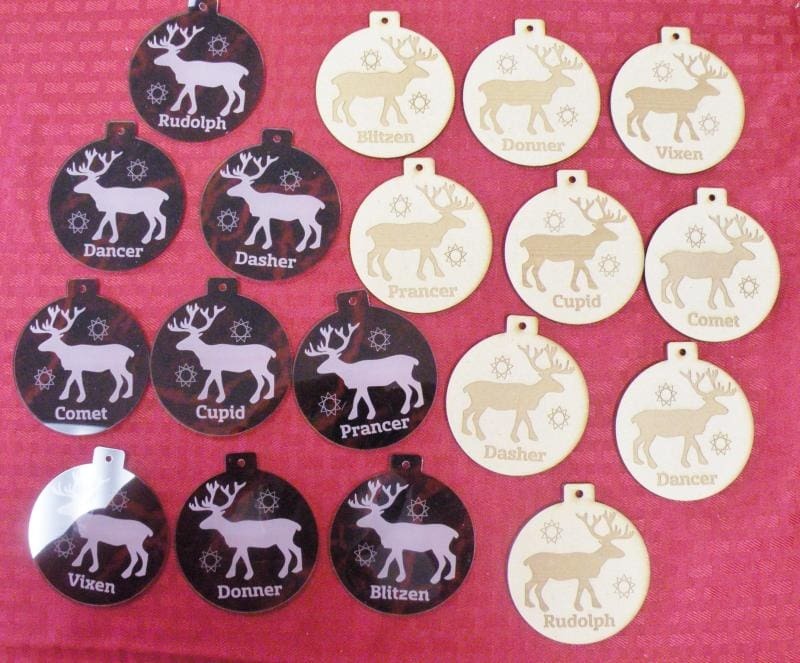 You can choose from those that I’ve already prepared, or you can design your own special ornament with a special picture and/or message. 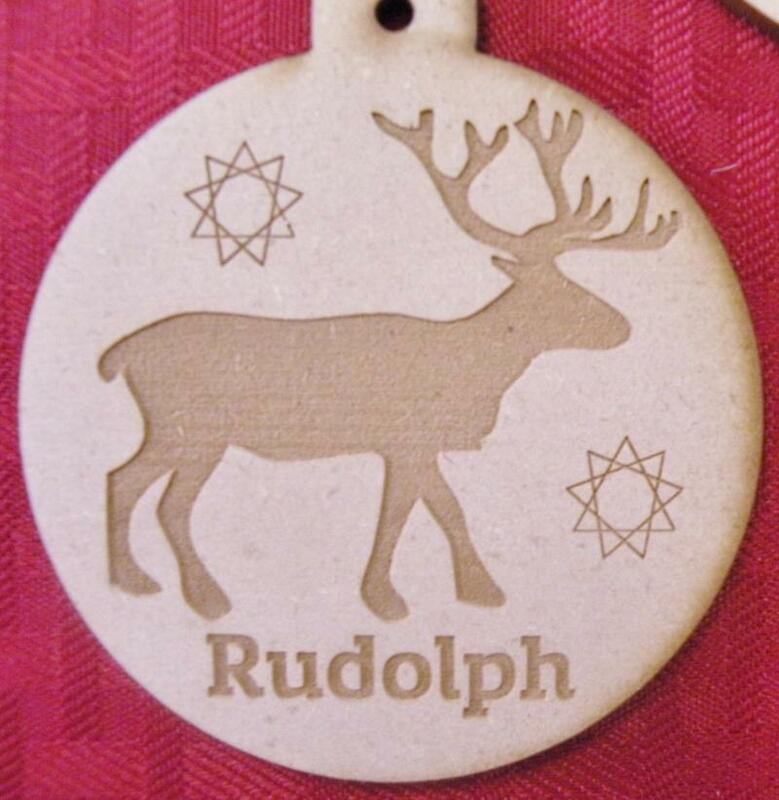 Ornaments can be made from leather, wood or acrylic. 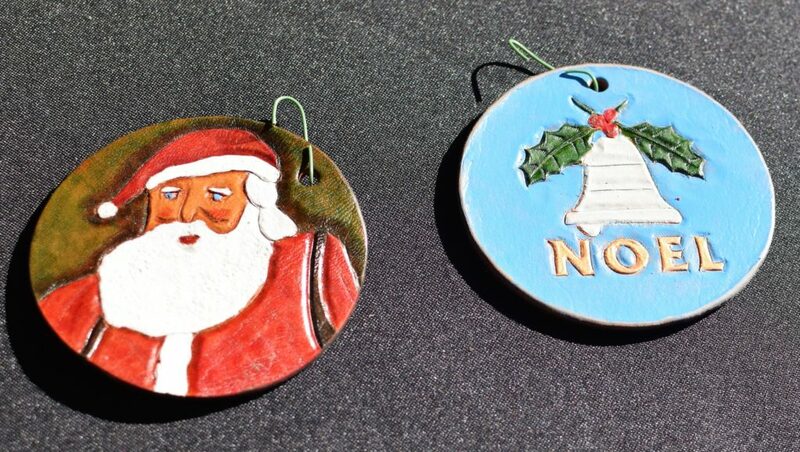 Hand tooled and painted leather ornaments and even Santa’s sleigh! 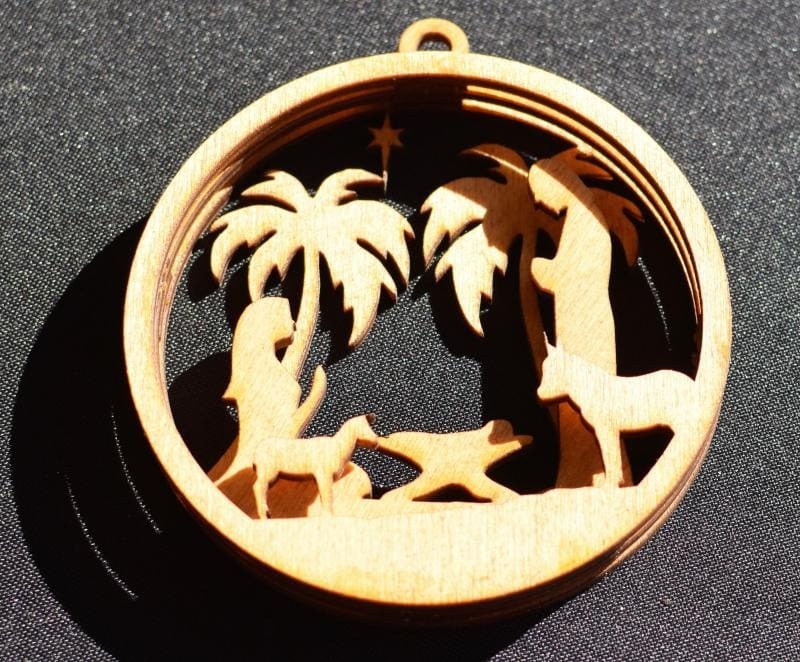 Three dimensional Nativity Scene to hang on your tree. Made of Baltic Birch. 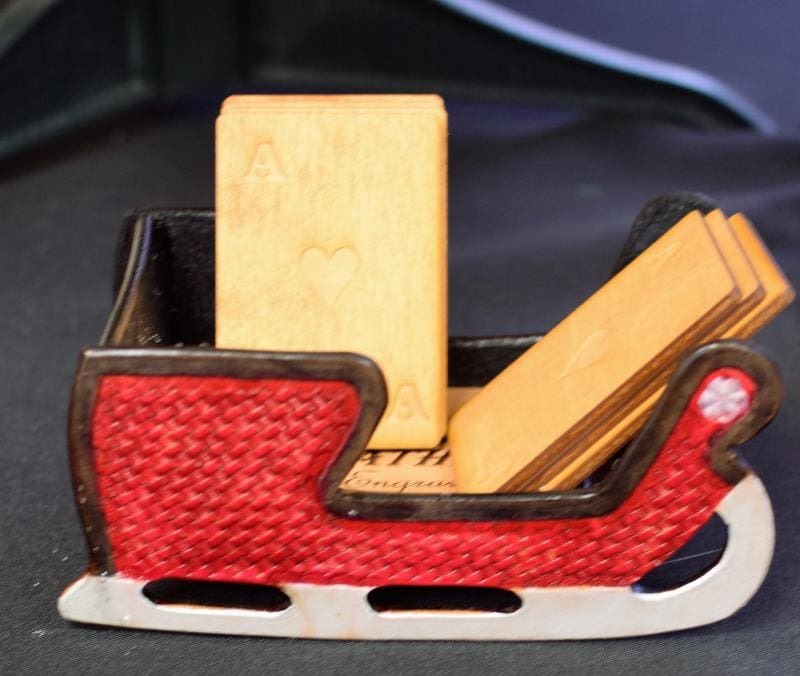 We all know the reindeer power Santa’s sleigh and help Santa deliver his gifts. We have the full team here in both acrylic and wood. Sold as a set or individulally. We all know the song that tells of the gifts given on the twelve days of Christmas. Now you can have all the gifts on your tree or dsiplayed in your house. 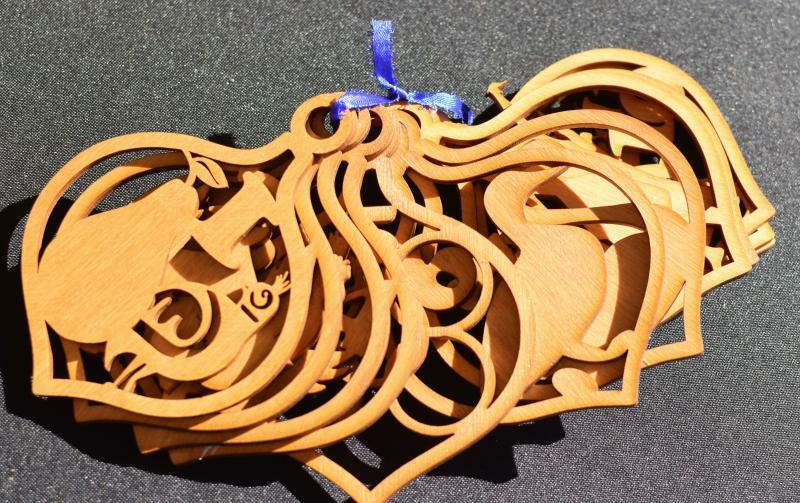 From the Partridge in the Pair Tree to the Drummers Drumming, they’re all here in either acrylic or baltic birch! 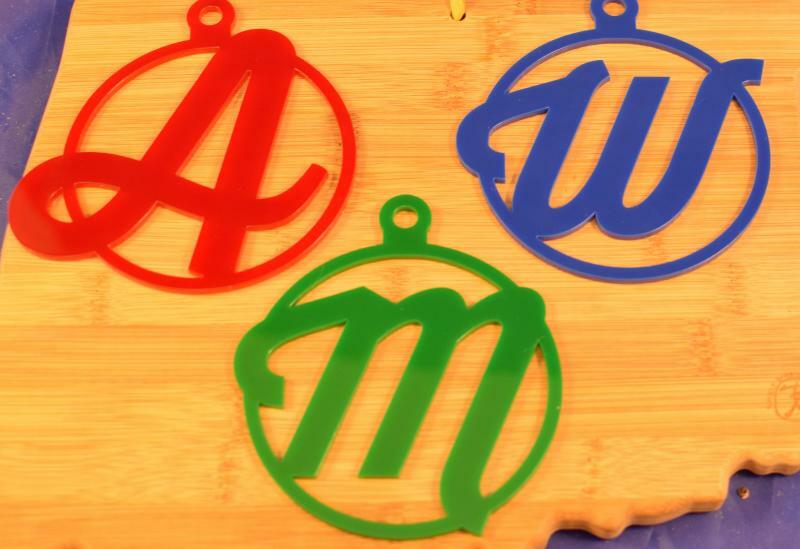 Get or give an ornament with an initial…made from colorful acrylic.